The Restaurant at HOTEL HUBERTUS R&C (Chef: Johanna Maier). 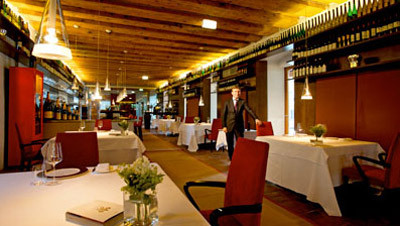 The Restaurant at Mörwald Kloster Und R&C (Chefs: Toni Mörwald and Roland Huber). The Restaurant at Gasthof Post R&C (Chef: Michael Spirk). LANDHAUS BACHER sp (Chefs: Lisl Wagner-Bacher & Thomas Dorfer). HANNER GTM R&C (Chef: Heinz Hanner). PFEFFERSCHIFF RESTAURANT *. At Hallwang. RESTAURANT IKARUS IN HANGAR 7 * (Executive chef: Roland Trettl). At Salzburg Airport W.A. Mozart. RESTAURANT Taubenkobel R&C (Chef: Walter Eselböck). ANNA SACHER - chef de cuisine: Werner Pichlmaier. At Hotel Sacher. CafÉ Landtmann - since 1873. Universitätsring 4. GOURMET RESTAURANT SILVIO NICKOL ** R&C WS (Chef: Silvio Nickol). 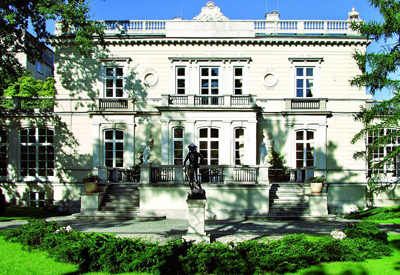 At Palais Coburg. JULIUS MEINL AM GRABEN - "Austria's premier address for gourmets and connoisseurs." LE CIEL - chef de cuisine: Jacqueline Pfeiffer. RESTAURANT KORSO - at Hotel Bristol. Steirereck im Stadtpark ** SP GTM R&C (Chef: Heinz Reitbauer). WALTER BAUER RESTAURANT * (Chef: Tommy Möbius). RESTAURANT OBAUER GTM SP (Chef: Karl & Rudolf Obauer). MAYER'S RESTAURANT * GTM (Chef: Andreas Mayer). LE NAUTIQUE - at St. Peter Port. The Pavilion Brasserie Bib. At St. Saviours. Ocean Restaurant * (Head chef: Mark Jordan). At Atlantic Hotel. At La Pulente. BOHEMIA * (Head chef: Shaun Rankin). At The Club Hotel & Spa. At St. Helier. Tassili * (Executive head chef: Richard Allen). At hotel Grand Jersey. At St. Helier. 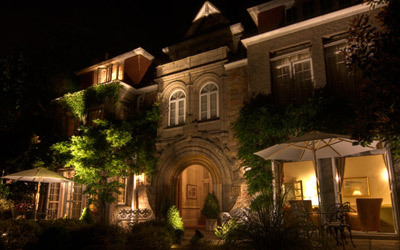 The Restaurant at Longueville Manor R&C (Chef: Andrew Baird). At St. Saviour. Sablonnerie - at Little Sark. Konoba Batelina NW. Specialty: Mediterranean fish stew. Mylos Restaurant - at the Mill Hotel. LA DEGUSTATION BOHÊME BOURGEOISE * (Chef: Oldřich Sahajdák). LICHFIELD RESTAURANT Bib - formerly the Monastery Restaurant. SASAZU Bib (Chef: Shahaf Shabtay). Asian restaurant. THE ALCRON * (Executive chef: Roman Paulus). At Radisson Blu Alcron Hotel. Tower Park Praha - "Restaurant, bistro and bar in the sky. The restaurant offers modern Czech cuisine. The entire floor is located at a height of 66 meters and is intended as a rest area, relaxation and above all, to enjoy first class meals." DEMO * (Chefs: Tommi Tuominen & Teemu Aura). G.W. SUNDMANS (Chef: Jarmo Vähäsavo). OLO * (Chef: Pekka Terävä). Modern Nordic gourmet cuisine. ELECTRA ROOF GARDEN RESTAURANT - at Electra Palace Hotel Athens. FUNKY GOURMET * (Chefs: Georgianna Hiliadaki & Nikos Roussos). 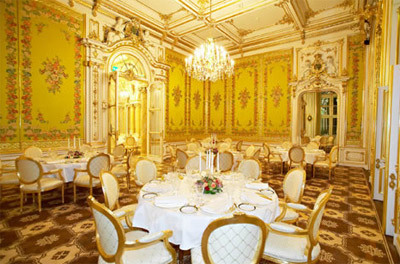 GB CORNER RESTAURANT - at Hotel Grande Bretagne. GB ROOF GARDEN RESTAURANT - at Hotel Grande Bretagne. 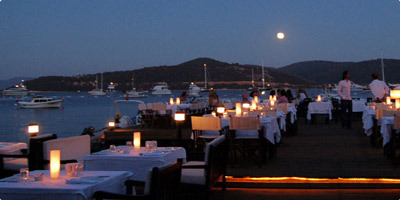 MATSUHISA ATHENS RESTAURANT - Vouliagmeni. MILOS RESTAURANT - at Hilton Athens hotel. Seafood. PREMIÈRE - at InterContinental Hotel Athenaeum Athens. 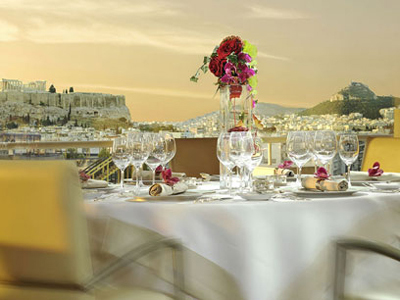 Signature rooftop restaurant where every meal is accompanied by stunning views of the Acropolis and Athens by night. SPONDI ** sp GTM R&C (Chef: Arnaud Bignon). 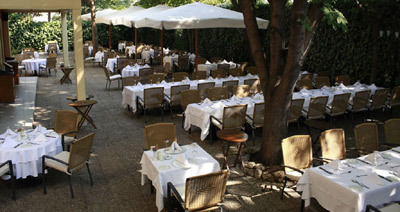 VARDIS RESTAURANT - at Hotel Pentelikon, Kifissia. VAROULKO * (Chef: Lefteris Lazarou). RESTAURANT THOLOS - serves great cuttle fish. ARANY KAVIÁR - since 1990. RESTAURANT GUNDEL - founded 1910. The Restaurant at Hertelendy Kastély R&C (Chef: Stefan Gebhardtl). 10 Best Reykjavik Restaurants 2016 - TripAdvisor. 3 FRAKKAR (Chef: Úlfar Eysteinsson). AALTO Bistro - Sturlugata 5. 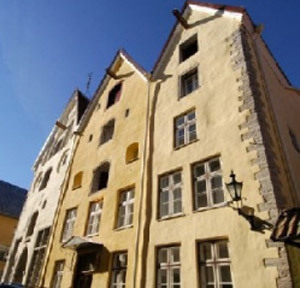 DILL RESTAURANT - Hverfisgata 12. GRILLID RESTAURANT (Chef: Thrainn Freyr Vigfusson). At Hotel Sögu. Matur og Drykkur - Hverfisgata 12. RESTAURANT GRILL (Chef: Thrainn Freyr Vigfusson). At the top of Radisson SAS Saga Hotel. 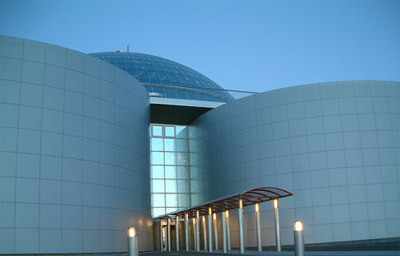 RESTAURANT PERLAN (The Pearl) (Chef: Elmar Kristjánsson). SJÁVARKJALLARINN - "At the Seafood Cellar we place the New Nordic kitchen in the forefront." SkÁl! Bib Hlemmur Mathöll, Laugavegur 107. SÆgreifinn - "Best Lobster Soup in the World." Vox - "We are proud to introduce the Manifesto of New Nordic Cuisine, placing emphasis on fresh Icelandic and Scandinavian sources for our modern menus." 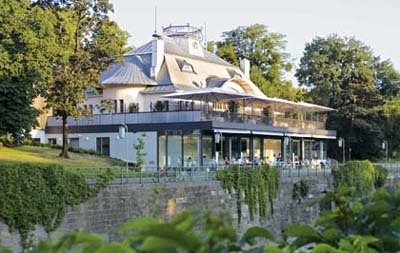 Restaurant Schatzmann * (Chef: Klaus Schatzmann). At Hotel Schatzmann. Restaurant MarÉe * R&C. At Park-Hotel Sonnenhof. 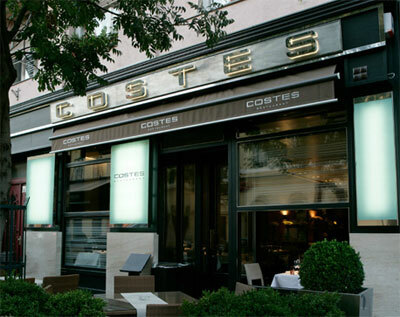 Brasserie CÔtÉ Cour Bib. French cuisine. At restaurant La Distillerie. La Distillerie * (Chef: René Mathieu). French cuisine. At Château de Bourglinster. Le Sud (Chef: Christophe Petra). La Gaichel * R&C. French cuisine. At Domaine de La Gaichel. Lounge Favaro Bib (Chef: Renato Favaro). At Restaurant Favaro. 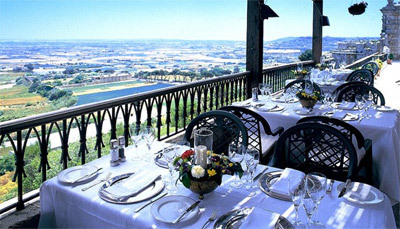 Restaurant Favaro * (Chef: Renato Favaro). Italian cuisine. LÉA LINSTER * (Chef: Léa Linster). French cuisine. Le Patin d'Or * (Chef: Philippe Laffut). French cuisine. CHIGGERI - Italian, International cuisine. Guinness world record of the longest wine list with over 2,200 choices. Best sommelier in Luxembourg. CLAIREFONTAINE * (Chef: Arnaud Magnier). French cuisine. KAMAKURA Bib (Chef de cuisine: Akira Yasuoka). Japanese cuisine. LA CRISTALLERIE - at hotel "Le Place d'Armes". LA POMME CANNELLE - French cuisine. At Hotel Le Royal. LA TABLE d'Axelle - brasserie. LE BOUQUET GARNI * (Chef: Thierry Duhr). French cuisine. MOSCONI ** GTM R&C (Chef: Ilario Mosconi). Italian cuisine. Yamayu Santatsu - Japanese cuisine. Les Roses * (Chef: Alain Pierron). French cuisine. At Hôtel Casino 2000. Ma Langue Sourit * (Chef: Cyril Molard). French cuisine. Toi pour Toi *. French cuisine. Du Vieux ChÂteau Bib. At Hôtel du Vieux Château. DE MONDION R&C (Chef: Kevin Bonello). At The Xara Palace. TRATTORIA AD 1530 - at the Xara Palace. BLACK LEGENDQuai Albert 1er, Route de la Piscine. ZEST - Quai Albert 1er, 6, route de la Piscine. La Montgolfiere Henri Geraci - 16, rue Basse. Cipriani - 1, avenue Princesse Grace. 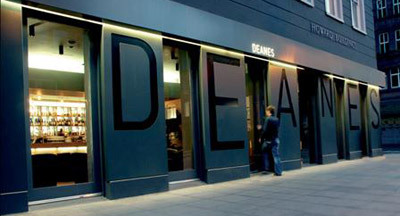 DEANES - chef Michael Deane. Restaurant 23 Bib (Head chef: Raymond McArdle). Copernicus Restaurant R&C. Polish kitchen. At Hotel Copernicus. Smak UkraiŃski - traditional Ukrainian cooking. Pod Łososiem - since 1976. 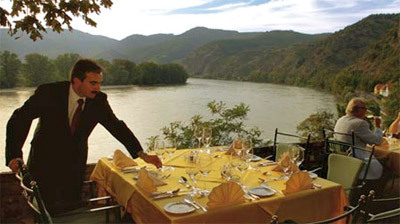 "Specialities of our cuisine are dishes of salmon, unusual soups and distinguished desserts." Hotel PARK Restaurant (Chef: Rafal Jelewski). AMBER ROOM - at the Sobanski Palace. ATELIER AMARO (Chef de cuisine: Wojciech Modest). PLATTER BY KAROL OKRASA - at InterContinental hotel. MICHELIN GUIDE FOR Republic of Ireland 2015 - THE LIST - Fine Dining Lovers. White Sage Bib (Chef: Tony Schwarz). 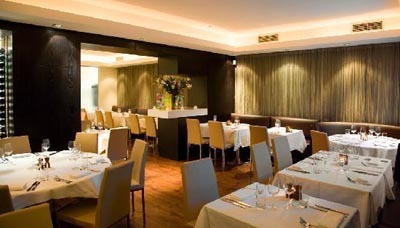 The House Restaurant * (Head chef: Martijn Kajuiter). 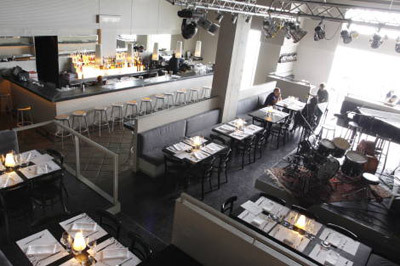 Chart House Bib (Head chef: Noel Enright). BON APPÉTIT * (Chef: Oliver Dunne). At Malahide. CHAPTER ONE * (Head chef: Ross Lewis). 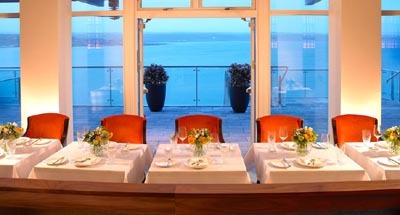 L'ECRIVAIN * (Chef: Executive chef: Derry Clarke). PICHET Bib (Chef: Stephen Gibson). PIG'S EAR Bib (Head chef: Stephen McAllister). 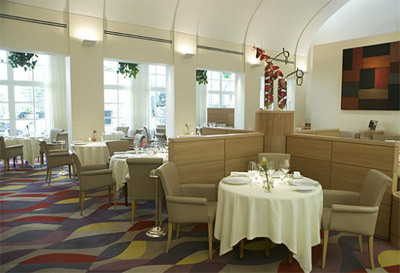 RESTAURANT PATRICK GUILBAUD ** (Chef: Guillaume Lebrun). 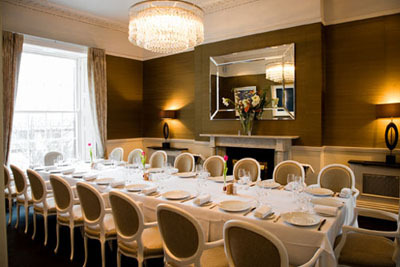 SADDLE ROOM - at The Shelbourne Dublin hotel. THORNTON'S RESTAURANT * (Chef: Kevin Thornton). At The Fitzwilliam Hotel. Aldridge Lodge Bib (Chefs: Billy Whitty & Joanne Harding). Contemporary Irish cuisine. Good Things CafÉ Bib (Chef: Carmel Somers). Fishy Fishy Cafe Bib (Chef: Martin Shanahan). Wild Honey Inn Bib (Chef: Aidan McGrath). Bon AppÉtit * (Chef: Oliver Dunne). O'Dowds Bib (Chef: Oliver Dunne). Since 1840. Seafood. Box Tree Bib (Chef: Eamonn O'Reilly). Caru’ cu Bere - since 1879. Best Romanian Restaurant 2013. CAFÉ BY WINDMILL - U Melnitsy. NW. Specialty: clay-pot soup (shi). Bon - one of the most unusual restaurants in Moscow. The creation of renowned designer Philippe Starck. Buona - at Radisson Royal Hotel. Chef: Christian Lorenzini . CAFÉ PUSHKIN sp. 26A Tverskoy Boulevard. Designed to recreate the feel of a 19th century aristocrat’s house, the restaurant has become one of the most popular in Moscow, thanks to the quality of its food, the impeccable service and excellent vodka selection. CDL - "Inside this elegant mansion is one of the city's most beautiful dining rooms — and one of the best places to sample authentic Russian cuisine." CHAIKA sp (Chef: Dmitry Shurshakov). 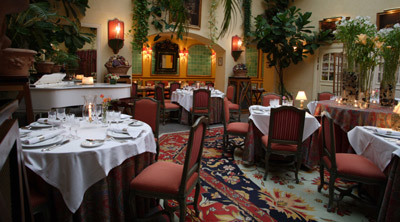 GUSYATNIKOFF - "Feast on exquisite traditional Russian fare in what was once (and still feels like) a private mansion." The beef Stroganoff is outstanding. 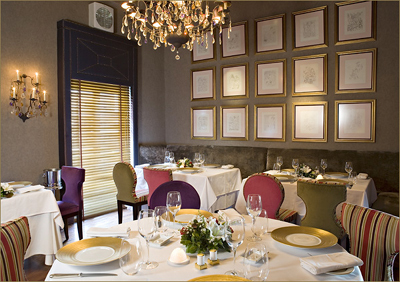 L'Albero - Italian cuisine. Chef: Nicola Canuti. Les Menus par Pierre Gagnaire - "Les Menus in Moscow presents the bold and experimental cuisine of the Michelin three star Chef Pierre Gagnaire, regarded as one of today’s most innovative and artistic chefs. Classic French cuisine with a modern twist and culinary artistry at its finest interpretation creates an unforgettable feast for all the senses." At Lotte Hotel. Metropol - cuisine: Russian-European. "Recalling the splendor of prerevolutionary Russia, the opulent interiors of the Metropol hotel's grand dining hall are a stunning memorial to Russian art nouveau. The nearly three-story-high dining room is replete with stained-glass windows, marble pillars, and a leaded-glass roof. Among the famous guests to have dined here are George Bernard Shaw, Vladimir Lenin, and Michael Jackson." O2 LOUNGE - on the 12th floor of The Ritz-Carlton, Moscow. Pavilion - "The white tuxedoed waiters, palm trees, period pavilion building, crisp tablecloths and various old family photos that decorate this large dining room overlooking the beautiful Patriarch’s ponds all combine to give off an elegant period feel worthy of an Agatha Christie novel and which the restaurant describes as 'Soviet 1950s'." Scandinavia - "Your favorite restaurant in Moscow." SEMIFREDDO RESTAURANT sp (Chef: Nino Graziano). 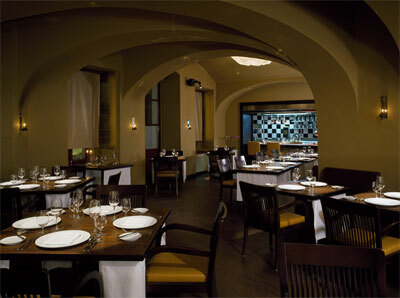 Shinok - Moscow's best Ukranian restaurant. TURANDOT - "Turandot a place where a Chinese princess and a French king could be tasting viands while laughing merrily with happiness." U Pirosmani - "The menu reads like a Georgian cookbook." VARVARY sp. Chef: Anatoly Komm. The only Russian chef to receive a Michelin star (it was at a restaurant in Geneva). The intricate cuisine fuses "molecular gastronomy" techniques with down-home ingredients, all of which come from within Russia. CHAIKA NW. Specialty: kamchatka crab. 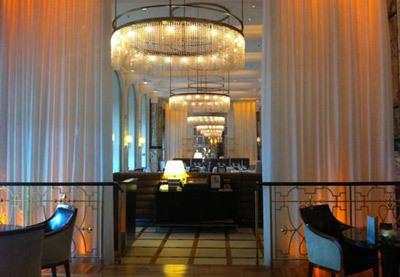 BELLEVUE BRASSERIE - at Kempinski Hotel. French cuisine. Erivan Restaurant - one of the city's few Armenian restaurants. L'EUROPE - Russia’s oldest continually serving restaurant, this culinary hotspot brims with timeless elegance. At Grand Hotel Europe. Russian cuisine. Palkin - a legendary restaurant of the same name was established on this spot in 1785. The formal and elegant interior evokes those bygone days. Taleon Restaurant - at Taleon Imperial Hotel. Chef: Alexander Dregolsky. 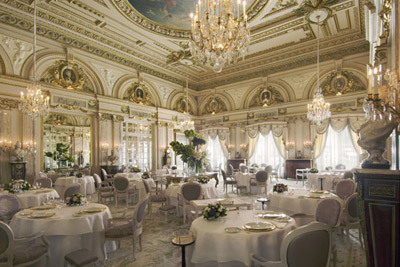 Three times voted ‘The best luxurious restaurant in St Petersburg’. Tsar - "Drinks are served in fine crystal glasses, old portraits of noblemen cover the walls and the toilets are even encased inside giant, leather-lined thrones. The Russian cuisine on offer is first rate." Husacie Hody Locations - Goose Feast Locations. Leberfinger - since 1759. 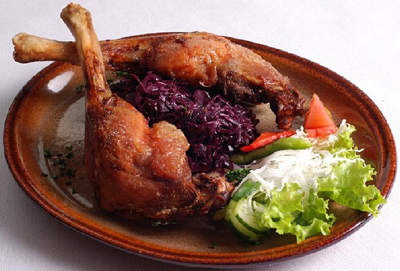 Cuisine based on traditional Austro-Hungarian Empire specialties. Viedenská cesta 257. 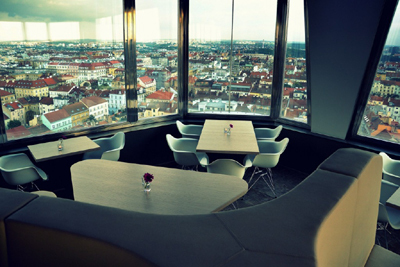 Sky Restaurant - "On the roof of one of the Old Town houses in Bratislava with an unforgettable view of Bratislava." Mediterranean cuisine. Chef: Ladislav Huik. Zylinder - cuisine of the Austro-Hungarian Empire. Specialties: Tafelspitz, Szeged beef goulash, Pörkölt, oxtail, poppy pierogies or traditional Kaiserchmarrn. Hviezdoslavovo nám. 19. JB Restaurant sp (Chef: Janeza Bratovža). KENDA MANOR HOTEL R&C (Chef: Franci Pivk). ASITANE - "Fine Ottoman cuisine." Çintemani Restaurant - at the Ritz-Carlton hotel. 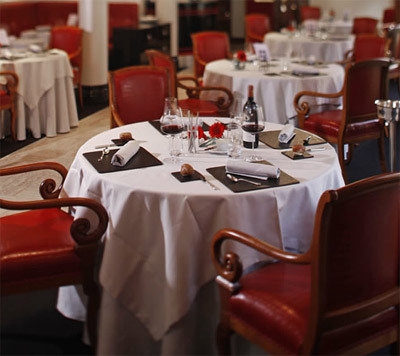 MICHELIN GUIDE FOR Wales 2015 - THE LIST - Fine Dining Lovers. Walnut Tree * (Chef: Shaun Hill). Restaurant with rooms. At Llanddewi Skirrid. Chai St. Bib. 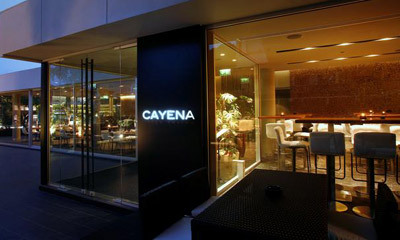 Contemporary classic Indian cuisine. Mint & Mustard Bib. Contemporary classic Indian cuisine. Tyddyn Llan * (Chef: Bryan Webb). Restaurant with rooms. 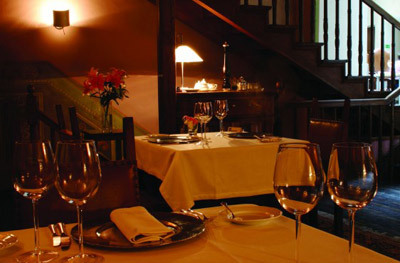 The Restaurant at Ynyshir Hall R&C (Head chef: Paul Croasdale). The Checkers * (Chef: Stéphane Borie). Restaurant with rooms. THE CROWN AT WHITEBROOK * (Head chef: James Sommerin). Restaurant with rooms.